Today is the day. For everyone who has followed Star Wars: The Clone Wars the day has arrived when the final 13 episodes, dubbed The Lost Missions, will finally be released with Netflix being their first stop. The series is set between Episodes II and III and is the main source for those wishing to see how The Clone Wars actually went down. The close of the series was announced last year, but with certain episodes well on their way through development it was inevitable that we would see a couple of lost missions. What answers will these episodes bring? Will they leave us with more questions than answers? Well, here is a question, is there any chance we’ll get to see R2-MK in these episodes? 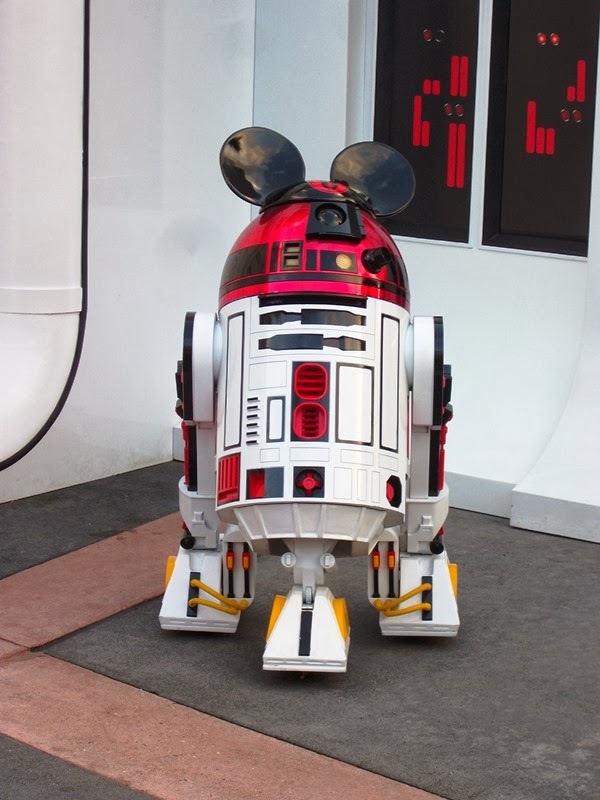 R2-MK is the astromech assigned to Jedi Master Mickey Mouse. The setting for this pairing is the fall of the Galactic Republic and the rise of the Galactic Empire. The astromech follows Mickey’s favorite color palate of red, yellow, black, and white. R2-MK’s dome is supplemented with a pair of specialized ears that resemble Mickey’s own. Mickey clad in his Jedi robes and R2-MK roll out into Disney’s Hollywood Studios each year as a part of Star Wars Weekends. Okay, so while the pair may tie in to the Star Wars timeline around the era of The Clone Wars, I find it highly unlikely that either would show up in The Lost Missions of Star Wars: The Clone Wars. Of course, if Disney and Star Wars have taught us anything it is to dream big, right?